In our day we need to recapture a sense of mystery. Pascal made the distinction between a mystery and a problem, and it is one that we tend to forget. A problem is an obstacle, a conundrum, something that can in principle be formulated and solved. A mystery is utterly different. It lies beyond us, it is too rich for our understanding. It can be entered into, explored, even inhabited; but it can never be exhausted or fathomed. Our age dislikes intensely the idea of mystery, because it directly exposes our limitations. The thought that there could be something, or someone, beyond human comprehension or imagining is, of course, exciting, but it is also belittling. It puts us in our place and the place is not at the centre. Science has played an important part here, at once dispelling apparent mystery and solving problems, and continually pushing forward boundaries of human knowledge. The experience of suffering, and very important, the experience of failure bring us face to face with mystery. 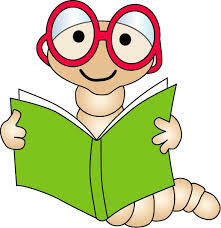 They are stern but effective teachers of the ways of God, unless, of course, they lead to bitterness and rancour. They cause us to question our priorities, they bring a new perspective and lead us sometimes from desperation to seek and find a different meaning and purpose in our lives. Coming to us as unwelcome visitors suffering and pain can, if handled well, turn out to be friends. In recent times it has become fashionable in Christian spirituality to put great emphasis on service of our neighbour and to equate that service with prayer. There is much truth in this idea, but it is a half-truth. There can be no substitute in the spiritual life for being alone with God. There must be that part of spirituality which is private and individual – secret between me and my God. It is that daily attempt to become increasingly aware of the presence and action of God in our lives and to know the growing desire within us for some kind of closeness to him … It is not easy for us to find time and place to be alone with God, but the saints have taught us, and experience shows, that we all need to include space in our day and in the mind to allow God to enter into our lives. It is not always easy. We are busy people, we have many responsibilities. Our minds are preoccupied with many things. We have to make an effort to find an opportunity to be alone with God. 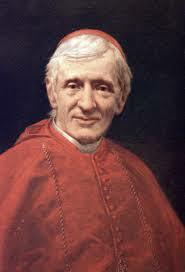 A letter written by Blessed Dominic Barberi, Passionist, narrating the conversion of John Henry Cardinal Newman.